The institute of EurAsES is created with purpose to studying and analyse of integration and civilization processes on the former Soviet Union. According to the Charter of Institute of EurAsES, the key organizational principle of its activity is the principle of a priority of scientific and expert approach to an assessment of occurring processes and independence of government bodies and political structures. All development of Institute has applied value and is extremely constructive. Criticism, discussions and Public relations — not our style. We conduct search of versions of solutions of key problems of Russia and our partners in integration. For this reason the Institute seeks to work in a mode of close interaction and partnership with such organizations as as EurAsES, the CIS, ODKB, SCO, the Union of Belarus and Russia, etc. 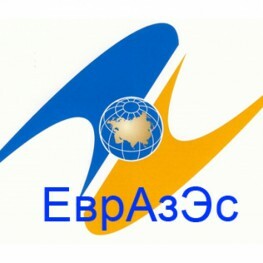 Moscow State University faculties are among priority partners of Institute of EurAsEC also Scientific advisory council of the Euroasian economic commission (The secretariat of the Commission of the Customs union of Belarus, Kazakhstan and Russia), humanitarian (philosophical, politological and historical) of. M. V. Lomonosov, MGIMO — the MFA of Russia, Russian Committee of a Defense of Peace, EurAsES Executive Committees University, ODKB, SCO and the CIS, the profile State Duma Committees and the Federation Council, Academy of geopolitical problems, a row the reginalnykh of administrations and institutes of the Russian Academy of Sciences, Scientific council of the Russian Academy of Sciences on complex problems of the Euroasian economic integration, modernization, competitiveness and a sustainable development.